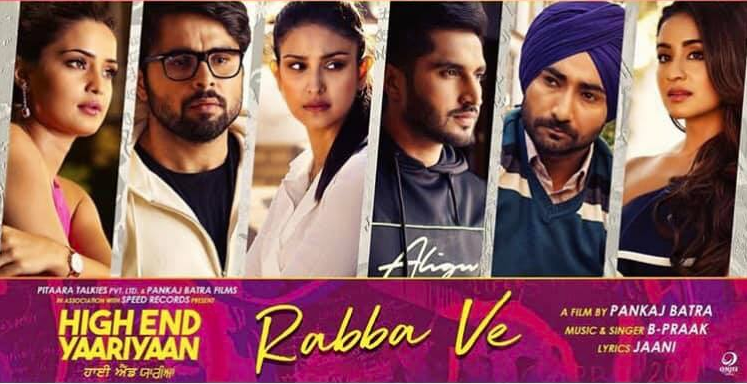 The makers behind the upcoming Punjabi movie ‘High End Yaariyan’ have released the first track from the soundtrack titled ‘Rabba Ve’. Following on from the release of the trailer, the first track from the movie is finally here! The filmmakers have decided against releasing an upbeat track and opted for the emotional ‘Rabba Ve’. The song has been sung by music producer B Praak, and his musical partner Jaani has written the lyrics. With the lethal combination of the pair, fans are instore for a heart wrenching track. The visuals for the song follows the rough patch of Jassie Gill’s character, as he goes through a breakup with his girlfriend. ‘Rabba Ve’ is all about love, friendship, heartbreak which all audience members will be able to relate to. The film is also prominently based in London, England, and follows the life of three best friends -Jassie Gill, Ninja and Ranjit Bawa. ‘High End Yaarian’ hits the big screen on the 22nd February.